The relevance of this paper is due to the need to study the problems of international cooperation and intercultural exchange between Russia and China. The history of Chinese-Russian relations is widely studied by scientists from both countries. One of the important directions is the study of history of the Orthodox Church in China from mid 18th to the early 20th century. The interest in this subject is closely linked with many important events in the history of these countries. The Russian Ecclesiastical Mission (REM) in Beijing, created in 1715, played a major role in the history of political and cultural relations between Russia and China. Analysis and synthesis of historical documents, a review of Chinese historiography regarding REM’s activities in Beijing are the main objectives of the current study. The article analyzes the studies of REM’s history in Beijing in the works of modern Russian and Chinese authors. 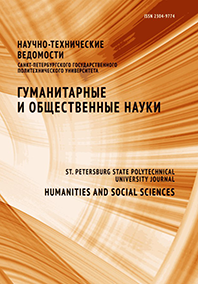 The article presents an overview of the works dedicated to history of REM in Beijing by Xiao Yuqiu, a Chinese historian, Professor at Nankai University, who is one of the major scholars in the field of studying the history of cultural exchanges between China and Russia in present-day China. Studying the works of this author, we have analyzed the main findings of the articles on specific topics, identified the historical course of the development of REM in Beijing. The article additionally presents the whole bibliography of this author on the REM in Beijing.